Al-Attiyah, who previously won the Dakar with Volkswagen in 2011 and Mini four years after that, switched to driving a Toyota Hilux ahead of the 2017 race. He retired early from his first attempt with the Japanese manufacturer, before finishing second to Peugeot's Carlos Sainz in 2018 and then dominating this year's event in the works Peugeot team's absence. 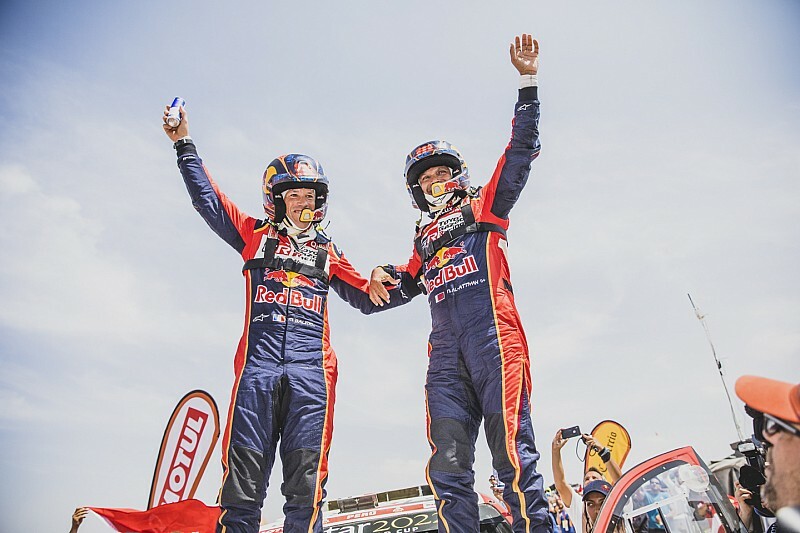 Al-Attiyah led the general classification on each day of the rally but the second, when Toyota teammate Giniel de Villiers briefly headed the rankings instead, before being ruled out of victory contention by a rock incident the day after. 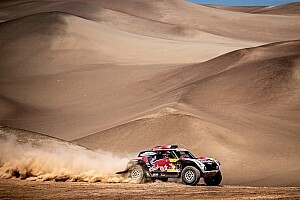 As all of his other main rivals encountered numerous problems, Al-Attiyah's lead ballooned gradually, and on Thursday he completed the final 112km test between Pisco and Lima to win by 46m42s over nearest rival Nani Roma. X-raid Mini driver Roma went without a stage win for a fourth consecutive Dakar, but was consistent enough to secure the runner-up spot with ease, taking his first podium finish in the marathon since his 2014 triumph. Nine-time World Rally champion Sebastien Loeb rounded out the podium in his PH Sport-run privateer Peugeot 3008 DKR. He topped the most stages in the class at four, but recurring reliability troubles and a major navigational mishap left him almost two hours adrift of Al-Attiyah at the finish. Jakub Przygonski clinched his best Dakar finish yet in fourth place for X-raid Mini, while sometime WRC regular Martin Prokop did likewise with sixth place in his privateer Ford Raptor. Cyril Despres was between them, ending up as the highest-placed of X-raid's three Mini buggies in fifth. Mini drivers Yazeed Al-Rajhi and Boris Garafulic made up the top eight, ahead of Toyota pair de Villiers and Ronan Chabot. 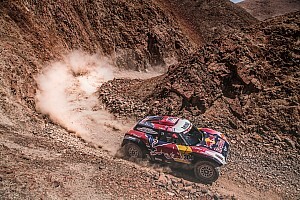 After Stephane Peterhansel claimed the Mini buggy's first two Dakar stage wins but then retired from fourth place overall after a penultimate-day crash, squadmate Sainz beat Loeb by 42 seconds on the final day for his own maiden stage win in the buggy. But Sainz's title defence had unravelled as early as Stage 3, and the two-time World Rally champion ultimately placed only 12th.